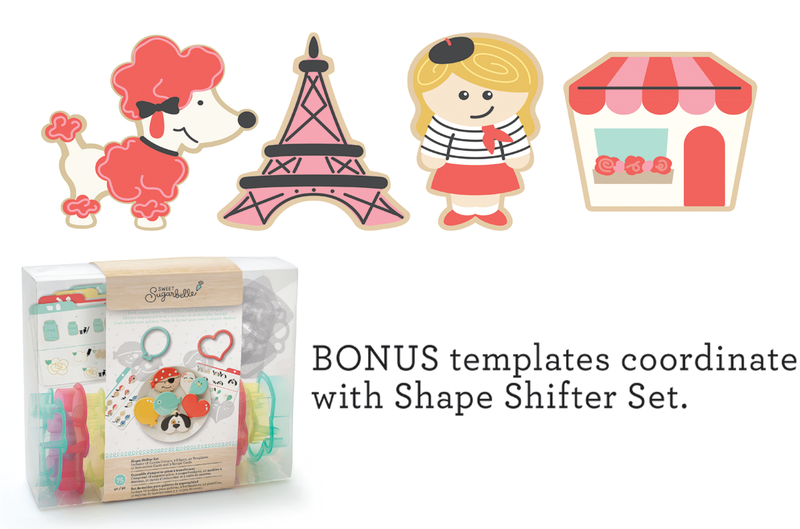 This adorably chic Ooh La La Cookie Cutter Set is sure to have your next cookie set feel the magic and lights of Paris! You don’t have to speak French to have fun with this charming cookie cutter set. The 2 BONUS templates can add that extra touch of Parisian charm. You can make Eiffel Tower Cookies for a school project, Valentine’s Day, or any time you want to just add enchantment!